AXYZ International is a leading supplier of high-performance CNC routing, engraving and cutting solutions, says the company. 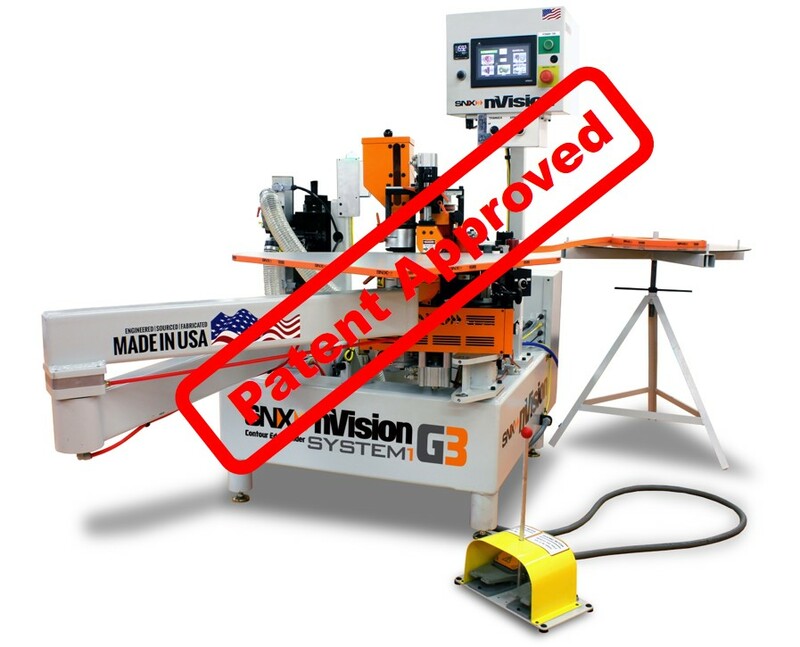 The company’s 4000 Series machines feature a processing area that’s 5-ft. wide and 8- or 10-ft. long. Standard features include: a high power spindle, vacuum hold-down, and the latest A2MC machine control system, adds the company. 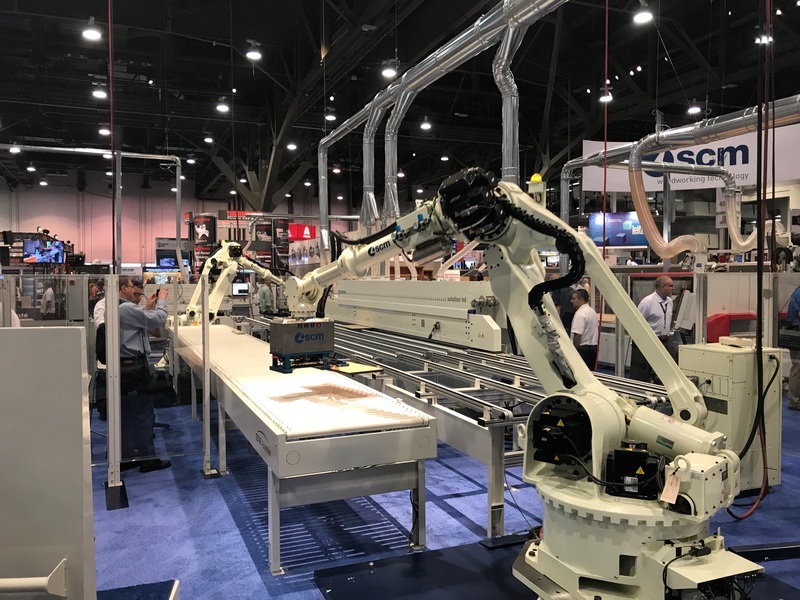 Upgrades to the AXYZ machines include an automatic tool changer, automatic hold-down zone management, and an even more precise servo drive system, adds the company. The Automatic Tool Changer (ATC) is designed to allow users to easily and quickly run jobs that require multiple tools. The Auto zone Management ensures that the material is held securely through the entire cutting process for optimum accuracy and a super finished cut, says AXYZ, and it helps to eliminate material waste and reduce machine downtime, caused by incorrectly set vacuum valves. The optional servo-driven helical rack and pinion drive system boosts performance by allowing increased feed rates and higher precision cutting, says the company. The A2MC machine controller greatly reduces “bounce” and vibration caused by sudden acceleration or deceleration, adds the company. For additional information visit AXYZ.com or CNCRoutershop.com. 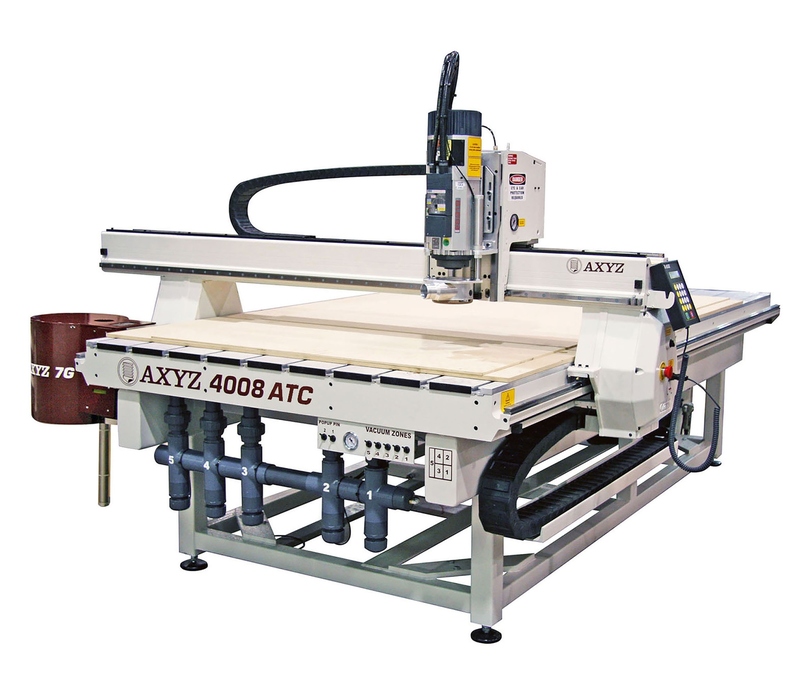 The extensive range of CNC Routers engineered by AXYZ Automation Group are well suited to the woodworking industry. Processing large volume sheets fast and efficiently with a variety of options including multiple heads and auto toolchangers, they offer unbeatably smooth cut quality and help streamline productivity for woodworkers everywhere.